Tackling in soccer can be dangerous. Choosing the wrong tackling technique to use in a specific moment can result in a yellow or red card, a suspension, or may even result in an injury for either player. For example, a player using a shoulder challenge from behind an opponent. This is why it’s crucial for players to know the different tackling options they have to dispossess an opponent throughout a soccer match. Below, I’ll share four tackling techniques all players must know. There are a lot of decisions that go into making a soccer tackle. You have to weigh up the risks and rewards for your team, figure out which tackle is best to use, and also make sure you don’t get a yellow or red card. This is illegal and considered to be dangerous play. This is dangerous and will often result in a red card. A shoulder challenge from slightly behind will also be considered a foul more often than not, but is unlikely to be as dangerous as a sliding tackle. This can injure your opponent and earn you a booking. If you’re sliding in, keep your feet as low as possible. Is the ball near enough for you to win? Make sure to weigh up and judge the distance as best you can. Is it the right time to put in a soccer tackle? The situation might be too risky if you’ll leave your team open to attacks if you don’t manage to win the ball back. 6. Where will the ball end up? 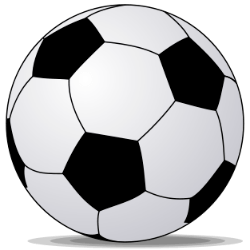 Will the ball go to an opposition player and leave you out of position? 7. Do you need to make a tackle? Sometimes it makes more sense to let your opponent keep the ball as you shepherd them away from goal. 8. What type of soccer tackle best fits the situation? You may find staying on your feet and forcing your opponent to make a decision is more effective. When you do decide to tackle, commit to it and do it confidently! ​Below I’ve listed the four important tackling techniques that all players need to know. With a little practice, this will give players the ability to legally and safely tackle and dispossess an opponent anywhere on the pitch. It involves the defender putting their foot in to ‘poke’ the ball away from their opponent. The defender must lead with their front foot and aim to make contact with the ball as firmly as possible to put some distance on the ball. To execute the poke tackle correctly, the defending players needs to be alert, light on their toes, and ready to poke the ball away when the opportunity arrives. The ‘block tackle’ is one of the most common soccer tackles in the game. When deciding to use this type of tackle, a player should be a few feet away from the opposing player with their eyes locked onto the ball. If the ball comes into range at any time and it seems like they’ve allowed the ball to get slightly too far away from them, extend your foot and plant it firmly next to the ball. To give yourself more balance and a lower centre of gravity, bend your knees slightly. Lock the ankle of your tackling foot and strike the ball away from your opponent. This should only be attempted when players are running adjacent to each other. It involves the defender attempting to “barge” their opponent off the ball by pushing into them with their shoulder. When using this technique, it’s important to use the right amount of aggression and power as too much will send the opponent flying and result in a free kick being awarded to them. For this reason, it’s best to use the shoulder challenge only if you can’t poke the ball away or shepherd them away from the goal. The slide tackle should be a defender’s last resort. Winning the ball back through a slide tackle can be very satisfying if done correctly, but can go horribly wrong if your timing or technique aren’t perfect. Mostly because it’s impossible for a defender to control their momentum after leaving their feet. But obviously there will be situations throughout a match when this tackle is appropriate, so use this x-step guide to learn how to do one. The best case scenario is to use teamwork and smart positioning first so you don’t need to slide. 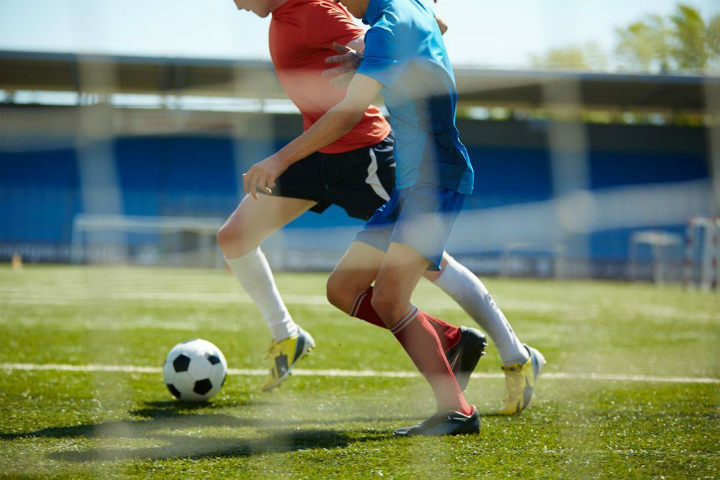 ​There are a number of different ways to tackle in soccer. Some of them involve sliding in or nipping in front of your opponent at the right time, others can simply be a well-timed shoulder challenge or a stuck out foot. Depending on which soccer tackle you choose to use, you’ll need to focus on timing and technique while also thinking about the level of aggression you need to use. Make sure you practice all four tackles talked about in this post.